While many entrepreneurs spend a lot of time looking for ways to bring more money in, which is certainly important, many don’t actually spend nearly so long examining current costs and ways to cut them. This is particularly the case in the area of business finances. A few dollars here and there each month may not seem like much, but they can all add up over time and negatively affect your cash flow. Read on for some tips you can follow today to help cut down on business finance charges. For starters, don’t straight away set up business credit cards, bank accounts, loans, and other financing with the bank you have always dealt with, or whichever firm is closes by. Remember: financial institutions charge what seem to be only fairly small amounts each month, but these costs can come to thousands, or even hundreds of thousands of dollars over the year. It’s important, then, to always shop around for the best deal for each product. Don’t limit yourself to the big banks; there are now many great boutique and online firms. In particular, these days you’ll notice many online bank business accounts and other digital products actually offer the cheapest rates because their overheads are lower. Furthermore, once you have accounts with a provider, check at least once or twice a year to see if you’re still getting the best rates, or if you would be better off going elsewhere. You might also be able to renegotiate better terms if you tell the financial institution you’re looking at taking your business to their competitor. Monthly fees may be able to be waved, for instance, or you could receive lowered interest rates on your credit cards or loans. If you combine products, so they’re all with the same firm, you may also be able to receive significant discounts. Next, if like most businesses you are enabling customers to pay online, by using their debit or credit cards, paying by direct deposit or BPAY, or using PayPal or other type of digital account, you may be spending more on fees each year than you need to. 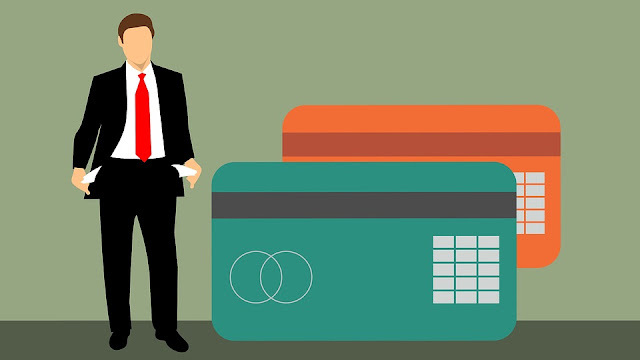 While merchant services firms provide a handy service that suits businesses and clients well, the charges associated with these accounts can eat into your cash flow over time. Payment providers often charge a setup fee, a monthly account-keeping cost, and transaction charges for each customer payment put through. There are also cancellation fees to consider sometimes, if you choose to cancel or change your account, plus potentially extra charges for access to particular payment types or to customer service. To get the best deal it’s, again, time to do your research. Make sure you find out all the costs involved with using a particular provider, not just the standard transaction fees. This will help you compare options effectively. It’s worth asking merchant services firms if they will waive certain fees to get your business or, as your firm grows, if they can reduce per-transaction costs or other fees because you’re now putting through more sales each period. If you have the type of sales structure whereby many customers get account terms (such as 14, 30, or 60 days to pay invoices), you probably end up spending quite a bit of money on chasing up late payments. When this happens, your firm may have to cover the outstanding bills in the meantime, and pay extra in bank charges or supplier late fees as a result. To reduce this issue, prompt clients to pay you more quickly. For example, explain the terms clearly to people when they first get an account, and ensure these details, plus payment information and the due date, are shown in large font in a prominent place on each bill. Always send reminders to customers once invoices go past their due date, and don’t let clients order new items until they have their accounts paid up either. Lastly, if you find your accountant’s fees are rising each year, cut these costs by giving your accountant less work to do. For example, automate tasks, such as the coding of expenses, compiling of reports, and syncing of credit and debit cards with bank accounts so less manual labor is required. In addition, spend more time yourself, or have your in-house staff members work on accounting tasks, so that when you hand off to your accountant, only the bare minimum of their time is needed. I hope you enjoyed this article about the key tips for cutting costs on your frugal business finances. Interested in more articles about frugal finance cost cutting?